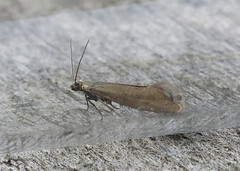 It was 1992 that moth trapping began at Tophill Low NR, East Yorkshire with a list starting at zero. 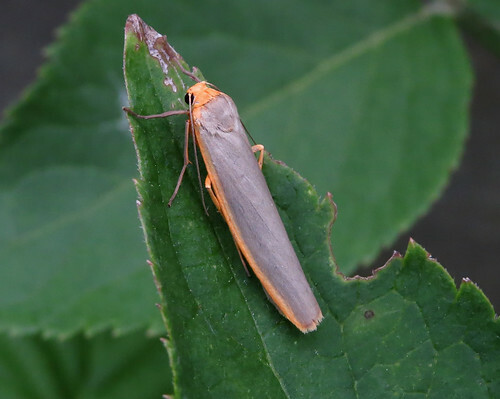 Now, 24 summers after the first MV light was switched on, this Scarce Footman Eilema complana trapped overnight on July 21st became the 600th species to be recorded on site. 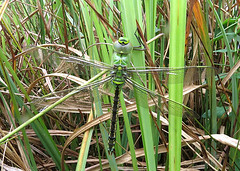 As remembered at the recording of the 500th Tophill species on the 26th July 2013, big thanks go to former Yorkshire Water warden Peter Izzard and current warden Richard Hampshire for allowing both Doug Fairweather and myself to trap across the diverse habitats of the site over the last 15 years. Without their support, help, ideas, suggestions and trust, recording would have been impossible. It is also appropriate to remember those that started the project – Pete Crowther and Bill Curtis, as without their enthusiasm in the early years, then perhaps the moth light may have gathered dust in the old visitor centre during the early part of this century. Big thanks also to Andy Nunn for his studies of leafminers at Tophill in recent years. Without those on the list, a species total of 600 would not have been attained for many years. However, 700 species is within sight, and the learning that goes with it.